Marketers nowadays have it too easy. Social networks, e-mail, mobile phones and other new technologies essentially bring hordes of potential customers to their doorsteps, targeted by their preferences and online behavior. No longer do marketers have to throw their nets over a wide audience via broadcast mediums just to catch a few interested fish. 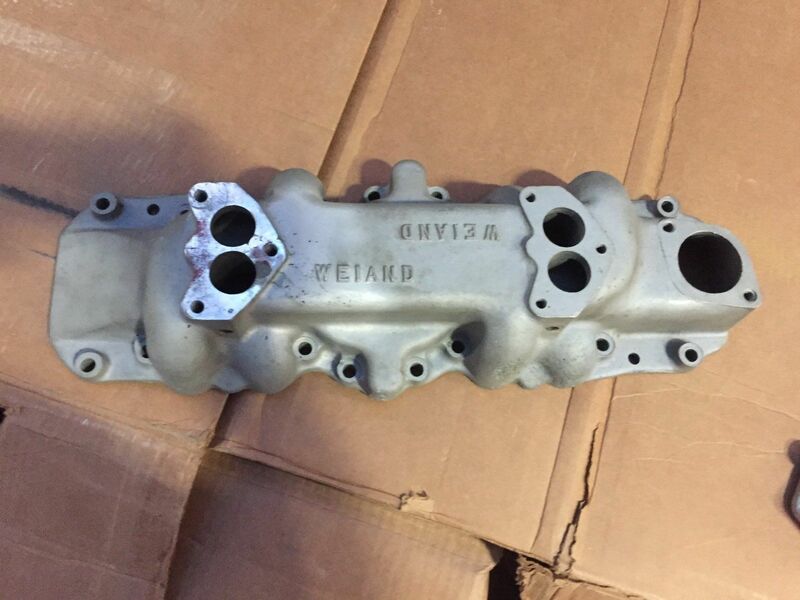 Phil Weiand didn’t have modern technology to assist him in finding customers for his first intake manifolds. He did, however, have a bit of marketing savvy on his side. Late at night, he’d go where the Los Angeles street racers gathered to set up their matches, scout out the losers of those matches, and ask them if they wanted to go faster, promising that his dual-carburetor manifolds would help them do exactly that. Such out-of-the-box thinking seemed to come naturally to Weiand. Born in Los Angeles in the late 1910s, he obtained his first car, a 1922 Ford Model T touring car, at age 14 by trading away a mandolin. He outfitted it with a 1924 Model T roadster body via another trade and built up the Model T four-cylinder using a Rajo overhead-valve cylinder head, Laurel camshaft and dual ignition from a Stutz. He also fabricated his first intake manifold and header for that engine, then took it to Muroc for his first race in May 1933, running a speed of 91.80 MPH. Over the course of the 1933 season, he eventually increased that speed to 116 MPH. He wouldn’t get the chance to return for the 1934 season. In January of that year, while racing his roadster at Mines Field–in what was likely an unsanctioned street race–Weiand went into a skid at 110 MPH, causing his roadster to roll and eject him. He ended up with a broken back, and was paralyzed from the waist down. Like Chet Herbert, paralyzed by polio (see HMM#88, January 2011), Weiand didn’t let his disability steer him from his passion. He first converted a 1929 Ford Model A coupe, then a 1934 Ford coupe, to hand controls. 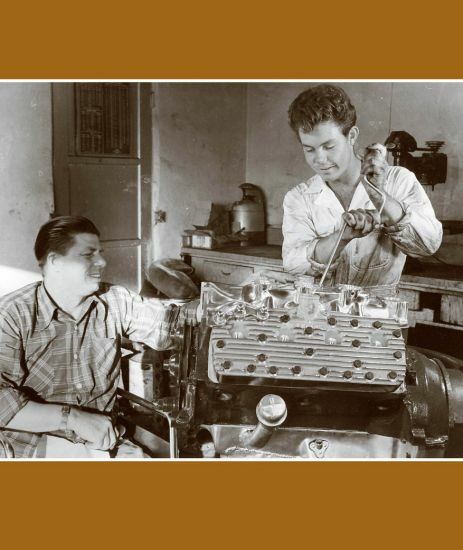 He took the machine shop classes his high school offered, and in the late 1930s (some sources say 1937, others 1939) he started to produce his first Ford flathead V-8 intake manifold. 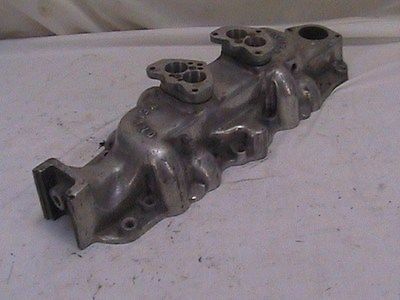 Other dual-carburetor flathead intake manifolds existed at the time, including Jack Henry’s, which essentially adapted a pair of carburetors to a stock cast-iron single-carburetor intake manifold. 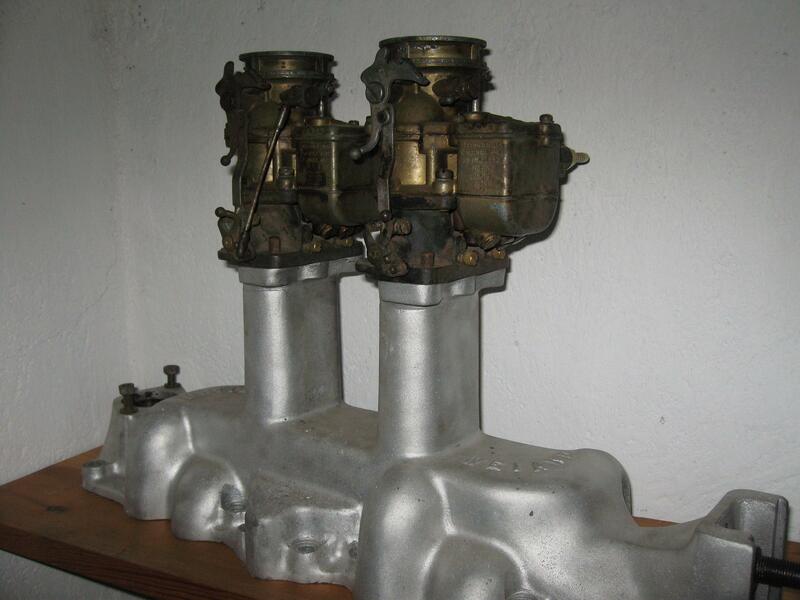 Weiand’s version, however, would not only be expressly designed for dual carburetors, but would also be made of aluminum and would clear the generator in its stock location. He borrowed $250 from his mother to fund the sand pattern for the casting and purchased his first drill press from Sears and Roebuck. 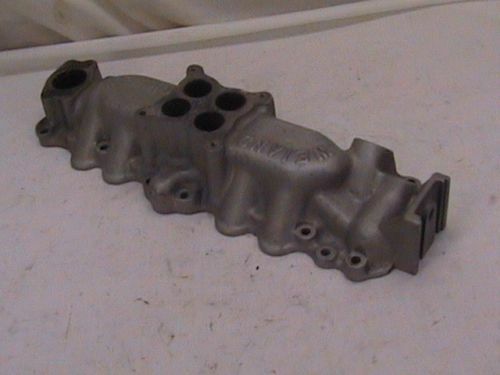 The first completed manifold went onto his 1934 coupe, from which he sold the rest of that first batch of 20 directly to those racers he met at the street races. 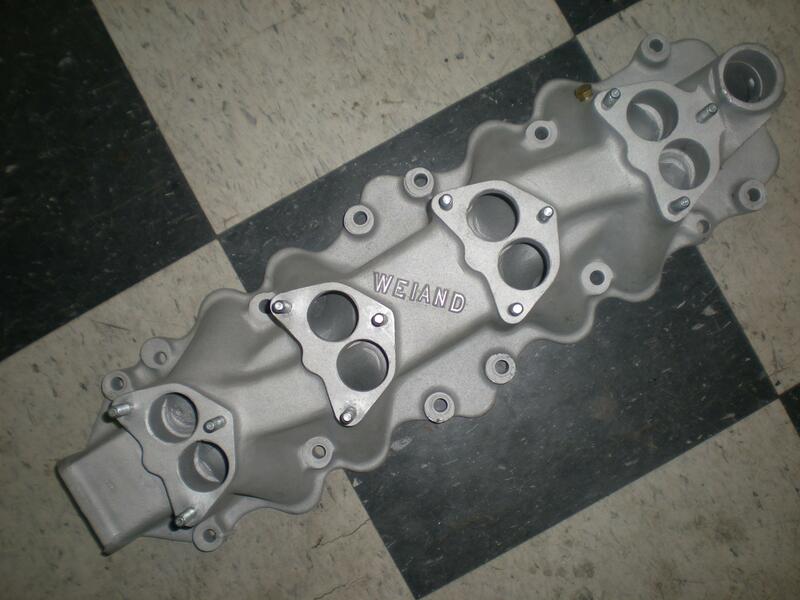 The manifold, known as the “high Weiand” for its tall carburetor stacks, quickly became popular among racers, and Weiand soon began selling it more conventionally through Bell Auto Parts, Karl Orr’s speed shop, and other early speed parts retailers. Though the lack of racing and raw materials during World War II essentially shut down Weiand’s operations, he still collected any aluminum he could–scrap pots and pans, mostly–to use in casting manifolds for the post-war return to business. After the war, Weiand not only began racing once again, entering his 1940 Ford coupe into Rusetta Timing Association trials at El Mirage, but he also began using his race experience to develop new flathead V-8 intake manifolds, finned aluminum flathead V-8 cylinder heads, heads for the Model A four-cylinder and intake manifolds for the Chevrolet six-cylinder. 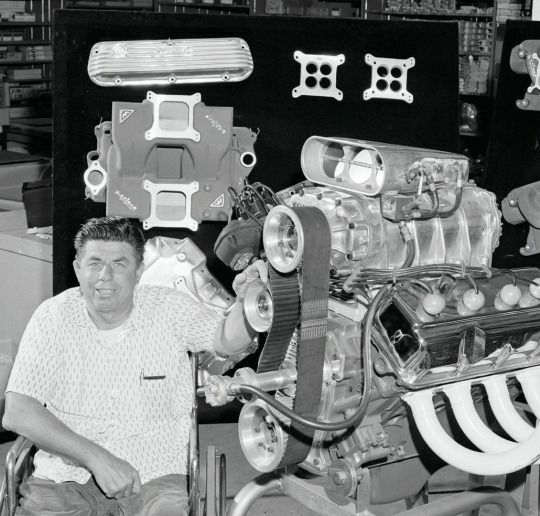 As Detroit started producing overhead-valve V-8s in the late 1940s, Weiand began making high-performance heads and intake manifolds for those engines as well, and by the mid-1950s, he began developing superchargers based on the GMC blower design. As the company and its product lineup grew, Weiand ended up buying his own foundry in 1958. 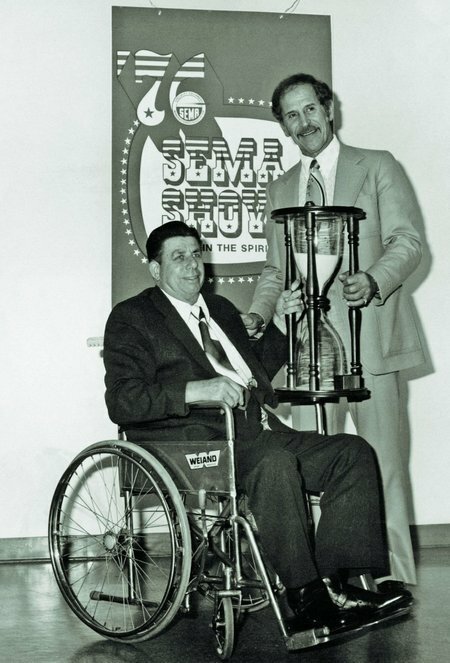 More importantly, he kept Weiand Automotive Industries under his control, refusing to sell it to a larger company, until his death in 1978; even then, his wife, Joan, ran the business until selling it in 1998 to Holley Performance, which continues to market products under the Weiand name today.This article originally appeared in the September, 2011 issue of Hemmings Muscle Machines. I was not sure if this intake was a Ford Flathead intake or possibly the longer Lincoln intake. 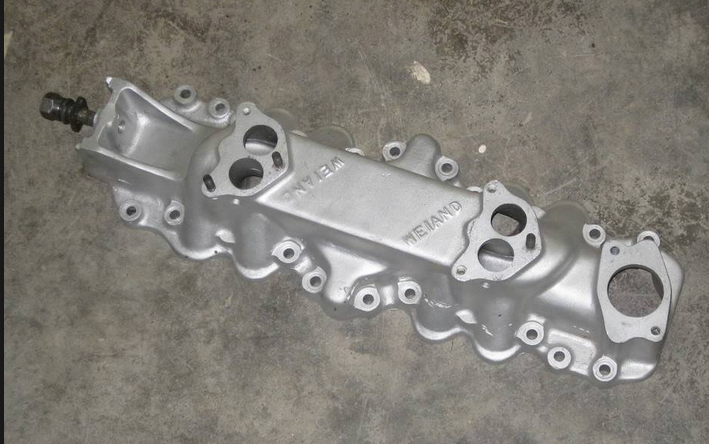 The intake has come up once or twice in my searches and at first because of it’s lackluster appearance I thought it was a modified intake but the more I looked into it this intake was produced by Weiand.